You probably know that you need to have car insurance and homeowner’s insurance (or renter’s insurance if you don’t own a home yet), but do you have umbrella insurance? And why would you need umbrella insurance? It’s actually an important coverage to have, and this is what you need to know about it. Umbrella insurance will cover you when claims go beyond what your other insurance covers. Your car insurance will likely cover everything in the case of a fender bender or other damage to your car, but what if you are liable for an accident in which someone needs hundreds of thousands in health care? Although it doesn’t happen frequently, there are car accidents that leave people paralyzed or otherwise injured such that they need extensive care, and they can’t work for a period or even ever again and will need money to cover their wages. Most car insurance policies won’t cover expensive accidents like that, so that’s when umbrella coverage kicks in. If you’re not sure if you should get umbrella coverage, these are a few reasons why you should in case of a severe accident. It protects your personal finances. If you are liable for an accident that requires $500,000 of hospital bills, do you have the finances to pay for it out of pocket? 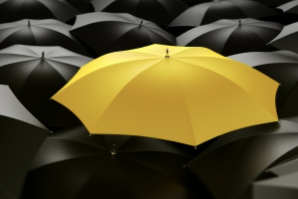 Most people don’t, so umbrella coverage insures that you don’t have to pay the cost by yourself. Compared to other insurance, it’s pretty inexpensive. You can purchase a $1 million personal umbrella liability policy for only $150-$300 a year. It’s a small price to pay for the amount of protection it offers. You can get a multiple policy discount. With some policies, you can bundle all of your insurance policies, including the umbrella policy, which can get you a nice discount and save some money. If you are ready to get more protection in case of an accident, contact Insurance Shops to learn how our umbrella insurance can help you. We can help you pick the optimal plan for your needs.